I'm getting some mileage out of my awesome Technique Junkie Christmas Stamps this year and today I created this incredibly quick card. It took barely 10 minutes. Gotta love that! 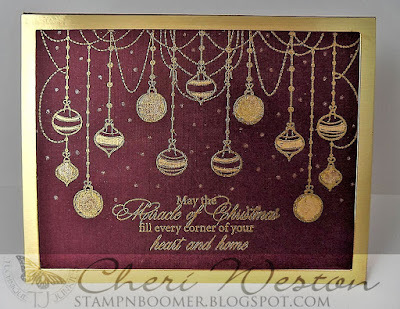 Only two stamps used for this card, "Draped Ornaments" (which was part of the September 2017 Release) and a sentiment from "Gifts of Christmas Set of 5" from the same release. 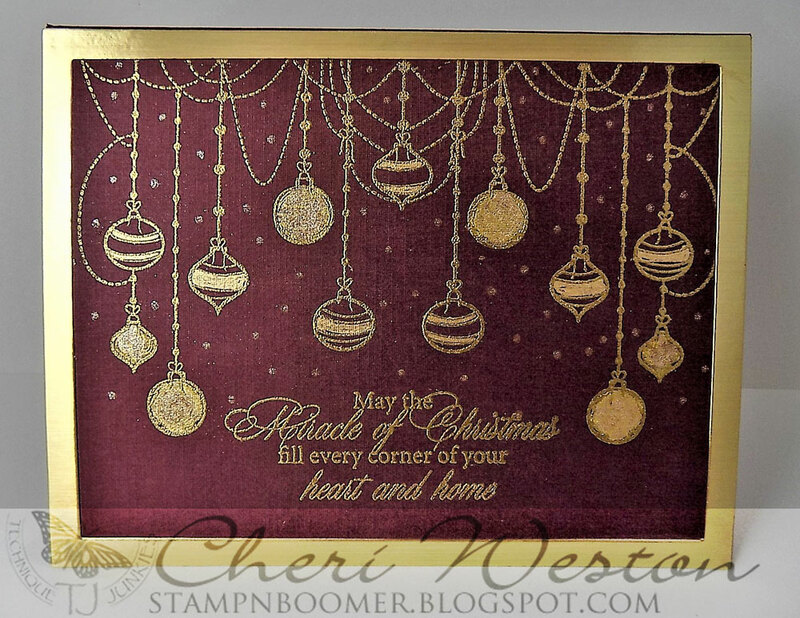 Stamped in VersaMark and heat embossed with gold ep on a cranberry color cardstock panel. I filled in the larger open ornaments with a Nuvo Glitter Marker in gold. It worked perfectly and left a very smooth result. I also used it in the bg as an embellishment by just dotting it for additional sparkle. 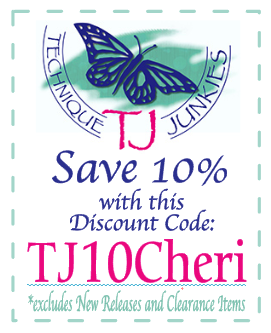 Check out the Technique Junkies Stamps store for so many fabulous stamps. And if you find some you just can't live without, please use my 10% off discount coupon for your entire order. Thanks so much for stopping by today and I hope you found some inspiration. It is gorgeous, Cheri. Love that it is a quick Christmas card too! Oh I am swooning over this beautiful card SS. Gorgeous colour combination and those ornaments are so lovely inked up. Lovely sentiment. Better get cracking with those Christmas cards - maybe make lots like this one. What a gorgeous way to showcase that beautiful stamp! Love the color combo you used!